Avoiding burnout and keeping ourselves replenished doesn’t just mean taking a break when it all gets too much. At Jijaze we believe it’s our duty as change makers to take care of ourselves and honour our own wellbeing every day – so that we can root our work in practices that help us thrive. It’s the only way we can make sure the change we want to see is one that we can sustain over the long term. Today, Gemma Houldey is sharing her wellbeing practices and how they support her work. Gemma has worked in the aid sector for 15 years, mainly on humanitarian, human rights and development programmes in East Africa and Palestine. She is in her final year of her Phd in Development Studies at Sussex University, investigating how identities shape the way aid workers approach and manage stress. She spent a year in Kenya doing field research, talking to Kenyan and expatriate aid workers about their experiences. She also ran a stress management workshop there and uses her research, and her personal self-care practices, to support aid worker wellbeing. 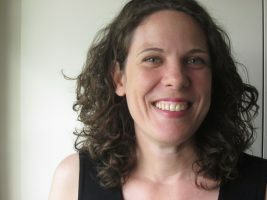 She has written about her research on her blog site, Life in Crisis: www.gemmahouldey.com and for the online academic magazine The Conversation. She tweets using the handle AidSoulSearch. I am studying my doctorate at the University of Sussex, focusing on stress and burnout in the aid sector. My thesis is investigating how aid policies and structures affect the behaviour of aid workers, and seeks to highlight the gendered, racialised aspects of day-to-day challenges in the sector. It is based on one year of field research in Kenya, with national and international staff from different aid and development organisations. I’ve been working in the aid sector since 2002, mainly on human rights and conflict programmes. I’ve worked with national and international NGOs in Uganda, Kenya and Palestine among others. My research was inspired by my personal experiences as an aid worker – the self-doubt, the anger, guilt and many other complex emotions that arise from doing this sort of work – and wanting to understand both the causes of burnout and possible solutions that could improve wellbeing in the sector. So in addition to my research I’m also very interested in finding practical ways to support aid workers; in a way that recognises the diversity of the sector and thus avoids a ‘one-size-fits-all’, or western-centric, approach. I’m hoping to use my research, and my own experiences of self-care, to work with aid organisations and staff to promote more reflective and compassionate ways of doing this work, with a view to challenging and transforming what is often believed to be a very macho environment. Bringing the humanity back into humanitarianism! Where do you do your change making work? I’m perhaps lucky that I am not tied to any particular space in which to work, and I enjoy the variety. I share an office with other Phd students at my university, but I carry my work with me according to where I need to be each week. Sometimes I’m just at home, in a very relaxing and quiet apartment in Hove, or I’m working on the train or up in London when I’m visiting friends of family there. I try to start my day with ritual. This usually means a yoga or meditation session in my living room, which helps ground me and set some intentions for the day. I will spend most of my day writing – I’m in the final year of my Phd, so I’m working through my thesis chapter by chapter. I usually have a long reading list also, which I try to scrape the surface of when I can! I find the routine of cycling to my university and having a full day of work there quite helpful to ensure some self-discipline, but it’s equally valuable having a day to write completely alone in my flat without any interruptions. Other days I’m often catching up with people that share my professional interests. So I spend quite a lot of time discussing ideas – via skype or social media – concerning organisational culture and aid worker wellbeing, and what needs to change. I’ve been quite involved recently with discussions around #AidToo and problems of sexual abuse and exploitation in the aid sector, so some days are taken up writing thoughts and responses around this, which I’ve then presented to the media or in relevant academic spaces. I generally keep my evening free – inasmuch as I avoid working beyond about 7pm. But my evenings are often quite busy! With academic networking, or a yoga class or something similar to help me wind down at the end of the day. Who are your inspirations, and why? There are two areas of inspiration for me right now. One is on the more academic side – and here I’ve been particularly inspired recently by women of colour who have attempted to bring emotion into the study of what it is to be human. I’m thinking of Audre Lorde particularly. But I also think Sara Ahmed’s work in challenging neoliberal structures which favour some people’s voices over others, including in what it means to be emotional, is really important. The other area might be classified as soul work, or spirituality. Although not everyone I’m inspired by in this area would necessarily put themselves in this category! For instance I love Brene Brown’s work on embracing vulnerability, and courageous conversations. She is an academic, but has managed to make her work so accessible in a way that really speaks to the complexities of the human condition, and can guide us through those difficult moments of fear and self-doubt that we all have. I’m also inspired by anyone who is seeking to change the way we show up in the world; to be more sensitive and compassionate, particularly in relation to social activism. I love the work of Joanna Macy, Charles Eisenstein and others who have a deep concern for how we can make change in the world in a new way that bridges certain divides and cultivates shared understandings, whilst also trying to challenge the structures and institutions responsible for perpetuating inequality and injustice. I have some wonderful friends who are genuinely interested in the work I’m doing and who are there for me when I need a listening ear. My father is also hugely inspirational and supportive, and full of ideas and advice. My mother died last year, but her love and her counsel are always with me. I’m also part of some great networks that provide opportunities for me to share my ideas and to learn from others. This includes the Mindfulness and Social Change network, and more informal networks for aid workers on social media. And my own self-care practices certainly support me. This includes yoga and meditation. But also simply making time in my day to go and look at the beautiful ocean in Brighton. Recently I started doing trauma release exercises, which have been a wonderful way of grounding and centring myself, particularly if I’ve had something stressful happen to me. It’s a gentle exercise that helps release stress and tension in the body by instigating tremors, or shaking, in the body. What are the signs that tell you when it’s time to take a step back and recharge? For me the tell-tale signs are when I’m not sleeping well, and when I become anxious over seemingly small things. Usually it means I need to spend less time staring at my computer screen or mobile phone, and more time outdoors in nature, or reaching out to friends. How do you build breaks or chances to replenish into your day? As already mentioned, I have a morning ritual and I find this hugely beneficial in setting (or resetting) the tone for the day. But there are other ways of doing this too, like taking a short walk outside – luckily we have a beautiful park just beside my university, and the sea is 15 minutes walk from my house. Even taking time to enjoy the food I’m eating – although I need practice on this one as I tend to eat my food in front of my computer! If you have a whole day off, how do you recharge? Spending time with friends is very important to me. But if I really want to treat myself, I’ll go for a massage or to a yoga workshop. Be gentle to yourself, you’re doing the best you can. Your passion and anger are important, but reflect on how this will serve yourself and others. Listen to alternative views and give space to those who cannot speak up as easily as you. Where do you see your work in ten years time? My dream is to set up some kind of wellbeing initiative, either in the UK or Kenya, that provides space for aid workers and change makers to reflect on their personal journeys and how they can transform the way they work and the way they offer support to others. Ideally it would have counselling, therapies, training workshops, and wellbeing classes all under one roof. I hope to be running workshops that look at stress management and our role in building a new organisational culture, and which explores different healing modalities as well as offering practical tips on working more effectively with colleagues and the people we serve. And by then hopefully I will have finally published a book or two! Gemma uses ritual to frame her days, and yoga as a movement practice. Do you use ritual or movement to support your work? Let us know in the comments. If you’d like support around building up your own wellbeing practices to sustain the impact of your work long term, we’d love you to join our community of change-making women. You can find out about other ways we support individuals and organisations by clicking here. We believe taking care of ourselves is the only way to create lasting change, avoid burnout, and have the impact we’re capable of. So sharing our practices and making replenishing ourselves a normal part of how we think about our work is vital! We’d love it if you could use the buttons below to share this post on social media, and raise our Change Making Voices together. Thank you!